With the rising cost of college tuition and mounting student debt, attitudes are shifting on whether a college degree is truly the “ticket to the middle class.” A survey published in the Pew Research found that only 38% believe that a college education is what it takes to be in the middle class; down 9% from the same survey in 1991. Rushing to the top of this list is the belief that a “secure job” will land you in the middle class (86%). Despite this changing attitude, a 4-year degree continues to outpace the non-degree worker in wages, avoiding unemployment and poverty. But what about a trade school or two-year degree? While not holding to the same status or prestige of the 4-year degree, an increasing number of students are turning to vocational education as an alternative to reaching the middle class. While this approach lessens the financial burden (sometimes significantly), it doesn’t completely eliminate it. For example, the Empire Beauty Schools have over 100 schools in 22 states that train students in anything from hair styling to salon management. Training in the program is a brief 1-2 years and provides real-life, hands-on training by professionals that prepare the student for a successful career. The cost for this shortcut to the middle class on average is around $18,000. So, Is There Financial Aid? The good news is ‘yes.’ Depending on the institution, like Empire Beauty Schools, financial aid is available through the FAFSA, just as it is for any other institution of higher education. Applying for aid is straight-forward and scholarships may be available depending on the school. Within a matter of months, a student can be trained, prepared and placed in a trade or vocation with a decent salary. While this approach to career development may have its appeal to the financially challenged or to the student with no interest in a 4-year institution, once a degree is achieved, federal aid is not available for subsequent degrees. In other words, Uncle Sam will not keep paying for future degrees, so be careful how you choose and that you have all the facts. It’s been shown that students armed with information always make better choices. 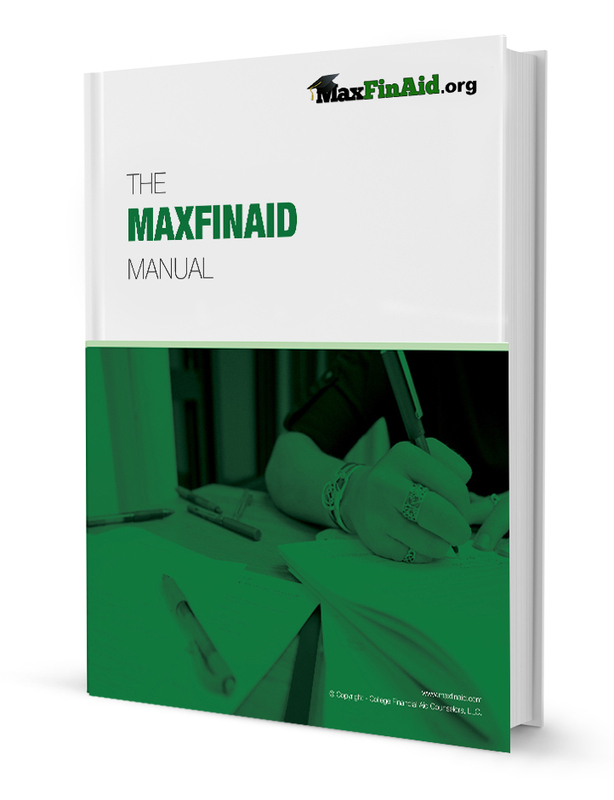 Get all the facts by downloading the free MaxFinAid Manual.